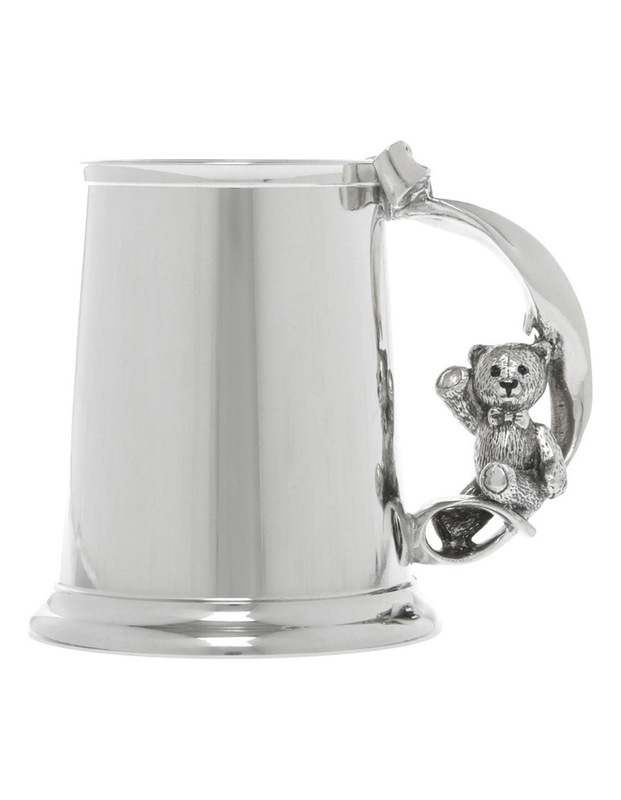 Teddy Bears Picnic is Inspired by one of the world's most popular children's songs capturing cute bear antics and images of a sunny day. 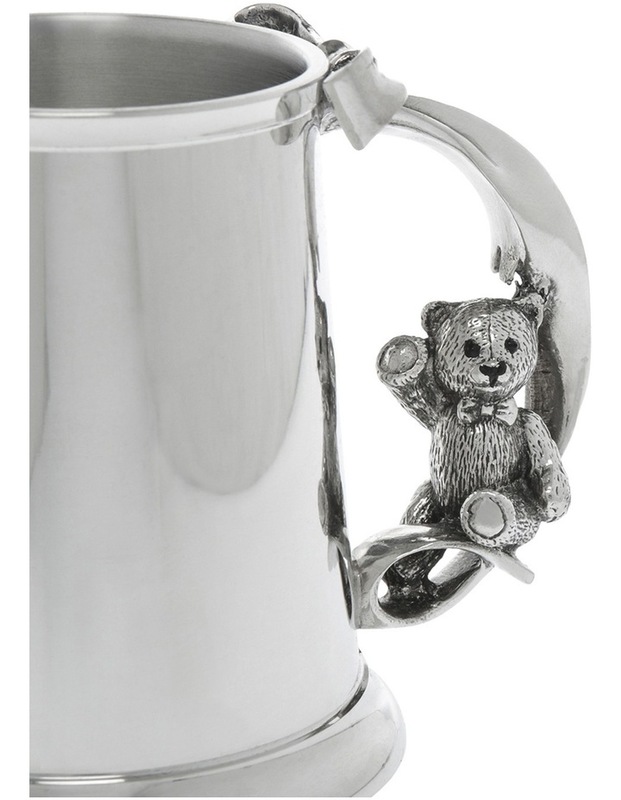 Every pewter piece is beautifully sculptured and elegantly finished with little bears playfully adorning the creations. 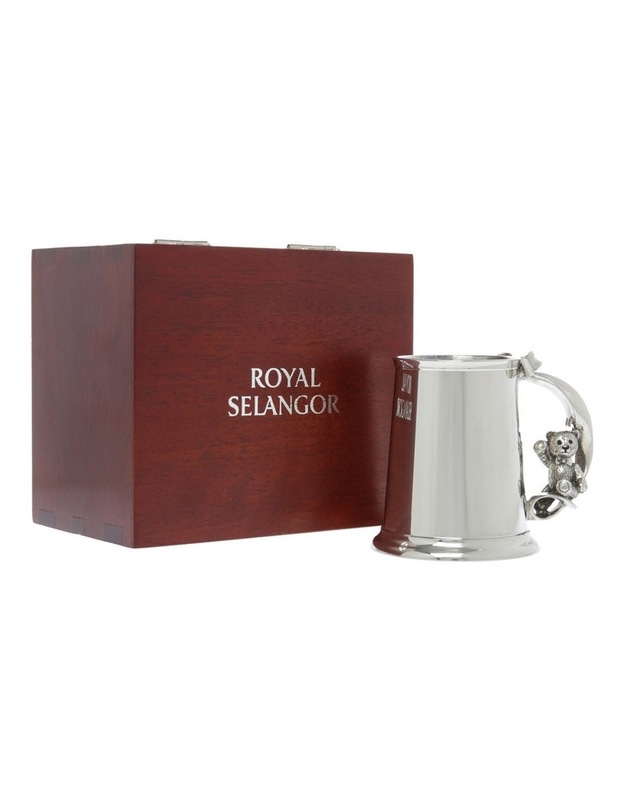 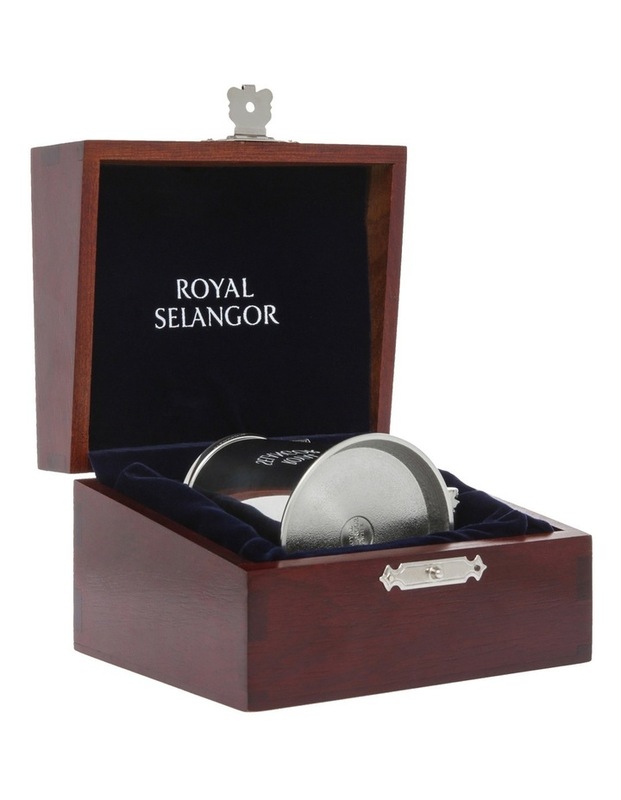 A little bear stares playfully up from the handle of this christening cup, capturing the playful and buoyant mood that characterizes this best selling range from Royal Selangor.